Tested distributions: Debian, Ubuntu, Fedora, CentOS, Arch Linux, OpenSUSE. Only 64 bits distributions are supported. Do not try to install on a 32 bits operating system! eLabFTW uses Docker containers. This saves you from dealing with a ton of dependencies, as everything is packed in a container. But we still need a few programs installed before we can get started. You might want to edit the configuration here to suit your server setup. For instance, you might want to edit /etc/elabftw.yml to change the port binding (default is 443 but it might be already used by a traditional webserver). If eLabFTW’s Docker container runs on a machine with several web applications you can use mod_proxy to access the application without opening another port on your server. 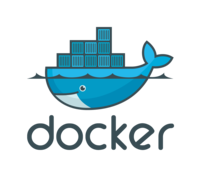 The following example forwards the URL https://your.domain/elabftw/ to the docker URL https://localhost:444. The default Docker port can be changed by setting the ports parameter in /etc/elabftw.yml to “444:443”. If you already have nginx running, you’ll want to use the proxy capapbilities of nginx to forward packets to the Docker container. The following example forwards the URL https://demo.elabftw.net to the docker URL http://localhost:3148. The default Docker port can be changed by setting the ports parameter in /etc/elabftw.yml to “3148:443”. In this example, nginx is listening to port 8888, because HAProxy is doing SSL termination. Adapt to your needs.